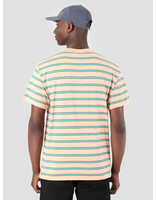 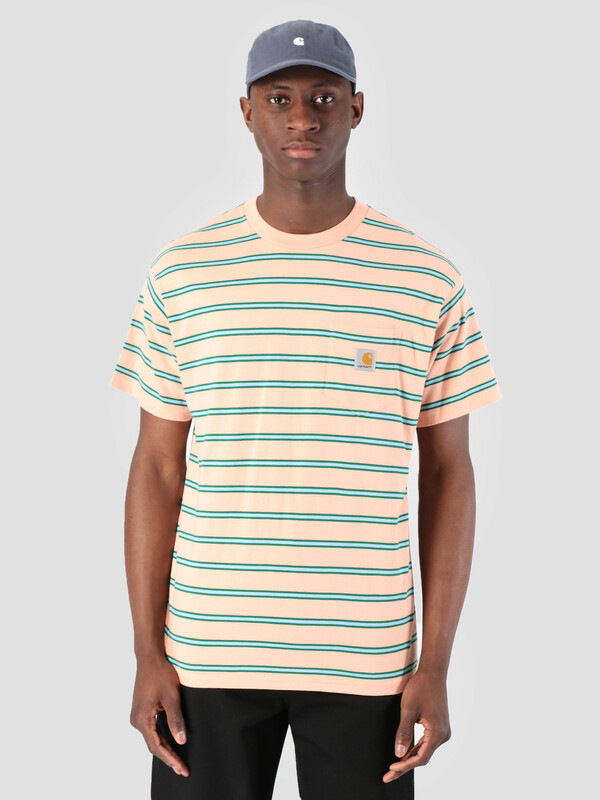 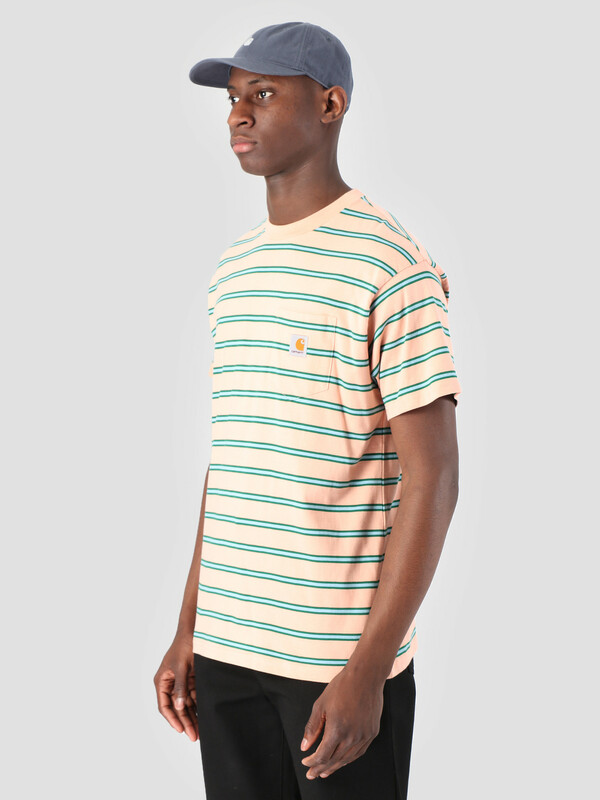 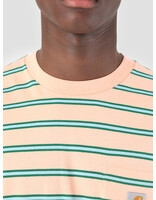 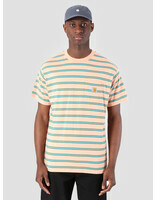 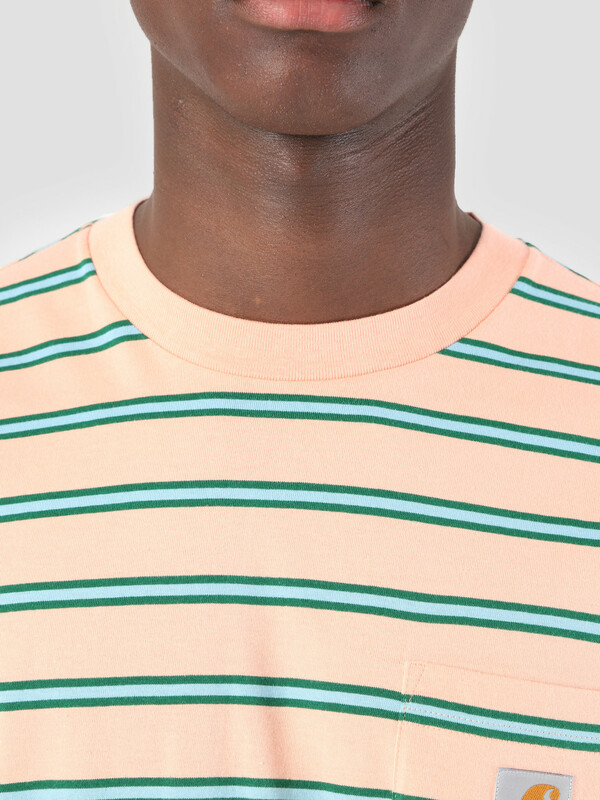 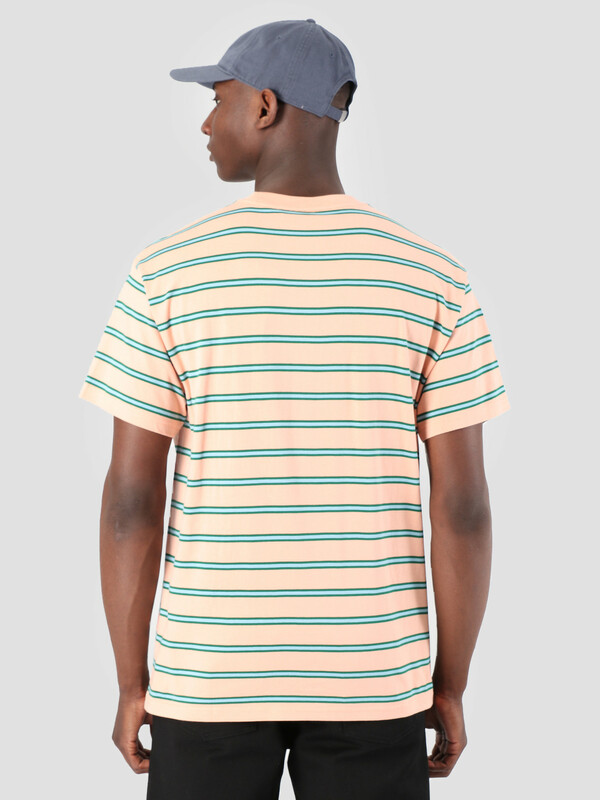 The Carhartt WIP Houston Pocket T-Shirt in peach with green and light blue stripes. 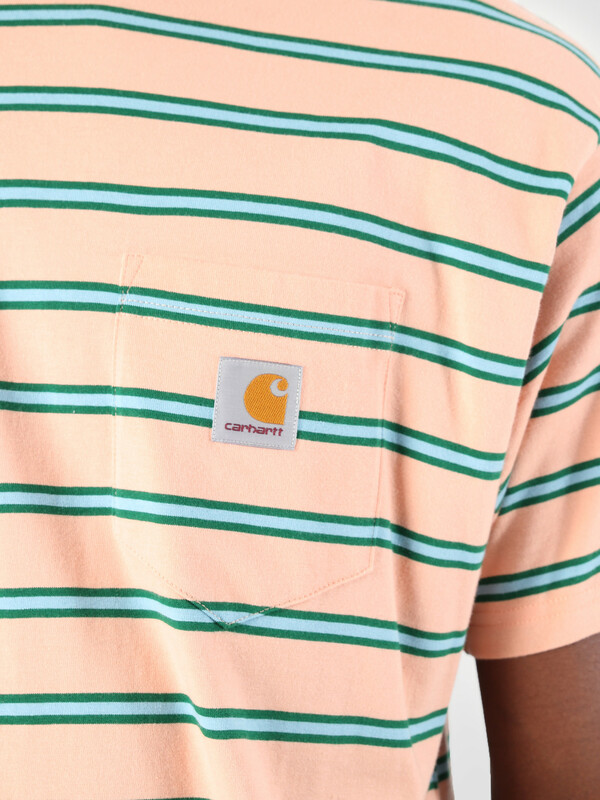 The tee showcases the Carhartt WIP branding on the pocket square located on the left chest. 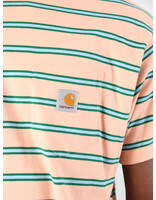 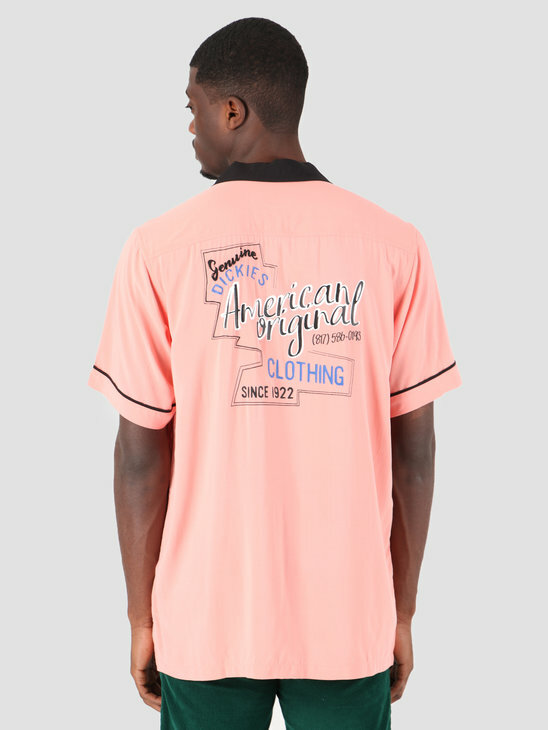 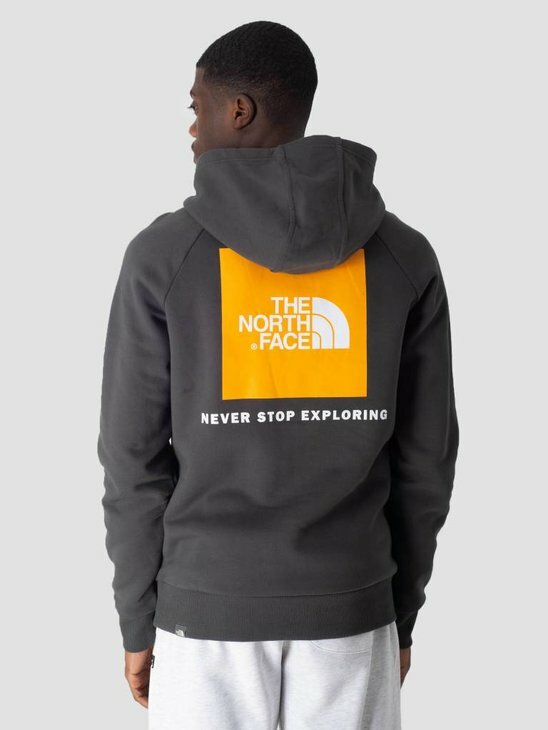 The shirt has a regular fit and is made out of 100% cotton.